On April 21st, the Columbus Veg Community is holding a Catholicism and Veganism presentation at the Columbus Metropolitan Library. The speaker, Madison Maholm, is a passionate Catholic Vegan who is a Worship Leader at Our Lady of Perpetual Help Grove City. In Madison’s presentation, she will speak about how religion impacts all areas of her life, including food. There will be free vegan food provided, and a Q&A session after the presentation. To view the event, click here. The Franciscan Action Network (FAN) is a grassroots organization seeking to transform United States public policy related to peace making, care for creation, poverty, and human rights. They see the interconnectedness of all creation and the common origin of humanity as rooted in God’s loving design for the earth and all people. To read more about the Franciscan Action Network, click here. CreatureKind is a Christian animal welfare group that works to help institutions improve their practice as it impacts farmed animals, with benefits for humans, animals, and the environment. Becoming a CreatureKind institution means committing to a cycle of reviewing current sourcing, setting goals for improved practice, and acting on them, together with engaging your community about the program. The program have two major goals: reduce consumption of animal products and obtain remaining animal products from higher welfare. To read more about how to become a CreatureKind organization, click here. CreatureKind is an organization that engages churches in new ways of thinking about animals. They encourage Christians to consider what they—as members of the body of Christ—believe about God’s creatures and how they might move toward living out those beliefs more fully. They also provide information, prompt discussion, share stories, and offer recommendations for flourishing as humans creatures without denying the flourishing of animal creatures. They work to inspire vegans, vegetarians, omnivores, farmers, fishers, and friends to learn from each other about how each to be the church that follows Christ into the reconciliation of all creatures. To read more about CreatureKind, click here. EarthCare is a Christian organization that exists to promote stewardship of creation within the Christian community. They seek to raise environmental awareness and participation through various education programs and by modeling creation care values in their daily lives. They also seek to provide a medium for fellowship, interaction, and inspiration for Christians concerned with the biblical mandate to be stewards of God’s creation. 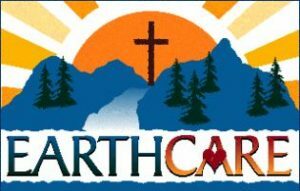 To read more about EarthCare, click here. EcoSikh is a response from the Sikh community to the threats of climate change. Their mission is to connect Sikh values, beliefs, and institutions to the most important environmental issues facing the world. They honor their Gurus’ wisdom by believing that all humans have an intrinsic sensitivity to the natural world, and that a sustainable, more just society is possible. To read more about Eco Sikh, click here. How Green is your Church is a questionnaire from Operation Noah that covers how environmentally conscious a church is. It is in check-list form and it’s purpose is to allow congregations to assess their starting point with environmental issues. To view the entire questionnaire, click here. Bright Now: Towards Fossil Free Churches is a campaign from Operation Noah on the necessity for churches to divest from fossil fuel companies. This initiative is based on the belief that the care for God’s creation must extend to the way in which churches invest their funds. The campaign includes a report on the urgency of the issue, a reflective paper on the ethics of fossil fuels, and tools to help divest a church from fossil fuels. To read more, click here.